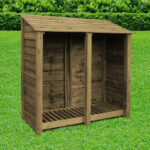 This attractive log store comes ready assembled or will be assembled for you on site. 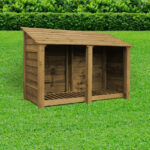 Hand made from treated timber which is guaranteed not to rot, the manufacturers reckon this store will last a lifetime. The store may arrive flat packed but will be put together for you on arrival. 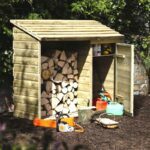 This log store comes ready assembled.